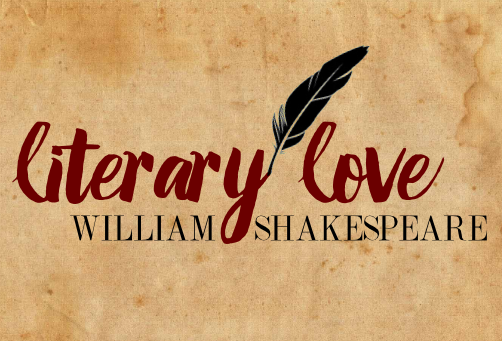 William Shakespeare #LitLove: Othello - fairy skeletons. #LitLove is our chance to spout our love for the written word in all its forms, and it happens once every two months. It was born from a feverish Twitter fangirling session (as so many good things are) and then put into action. We've got a veritable army of ideas cooking, and we plan to spotlight everything from authors to tropes in the future. Previously, we've featured brilliant middle grade authors Kate DiCamillo and Roald Dahl. Today, though, we're shifting our focus a bit. We'll be looking into our takes on arguably the most famous playwright of all time—the Bard himself, William Shakespeare. William Shakespeare (baptized 26 April 1564) was an English poet and playwright, widely regarded as the greatest writer in the English language and the world's pre-eminent dramatist. He is often called England's national poet and the "Bard of Avon" (or simply "The Bard"). His surviving works consist of 38 plays, 154 sonnets, two long narrative poems, and several other poems. His plays have been translated into every major living language, and are performed more often than those of any other playwright. So, um, pretty darn famous. I have to marvel at the audacity and power of Shakespeare as a writer. Honestly, all of us writers do. He invented words, twisted them to fit into new places with new purpose. He retold old tales and filled them with vivacity and emotion, and he wrote to appeal to both the masses and to royalty. His plays are hilarious, heart-rending, gorgeous, terrifying, and most of all, universal. Shakespeare finds things within us all and brings them to light in astounding ways—things we love about ourselves, things we'd rather not see in ourselves, things we're afraid to talk about, things we talk about too much. Once I found myself embedded in some of his work, I could truly see that his eminence is justified. To date, I've read Hamlet, Othello, A Midsummer Night's Dream, Macbeth, Romeo and Juliet, and The Winter's Tale in some form or other, and I look forward to delving deeper into Shakespeare for the rest of my life. Othello, a Moorish captain, secretly falls in love with and marries Desdemona, the daughter of a Venetian nobleman. While the two live happily at first, a spurned suitor of Desdemona’s and Iago, an ambitious officer under Othello’s command, plan to tear the couple apart out of revenge for perceived slights suffered at their hands. Of course, that doesn't even begin to do it justice. Othello is a play rife with complexities and emotional richness on every part of the moral spectrum. It's about the seeds of doubt and envy that grow to impossible and frightening proportions. It's about the extremes that humans will go to if they're pushed in just the right ways, the scary little flaws in all of us that can be exploited and make us into monsters if we aren't careful enough. Plus we have a very interesting exploration of racism, as Othello's ethnicity is constantly brought up and 'otherized' by his peers, and the relationship between Othello's identity and his achievements is fascinating to read about. While I'm not totally sure if this was Shakespeare's intent, I think it makes the play that much more rewarding. Combine those meaty themes with the Bard's trademark superbly realistic characters, stunning backdrop of a setting, and mind-blowing skill with language, and you know you've got a winner of a play. I will always love Shakespeare for the people he brings to life first and foremost, and the characters of Othello are no exception. I'll be talking about the four main figures who stuck out to me and fangirl about themes and wordplay in the process because I am a literature nerd at heart. As the title character of the play, Othello is a deeply tragic and multifaceted figure, and he is the perfect focal point for this story. His position in Venetian society seems to set him up for failure: not only is he a firmly practical military man in the midst of nobles who've been navigating the treacherous social waters for their entire lives, but he's also an outsider in terms of his ethnicity (he's described as a 'Moor' throughout the play; there's some debate among scholars as to his actual ethnicity). Despite this, when the play opens, it seems he's doing admirably—he's proved his worth and honor in the battlefield, earning praise from his superiors, and he's snagged a wonderful wife, albeit through unconventional methods. He has friends who genuinely care about him and a fairly good social position. He's done the impossible: assimilated into Venetian society despite the odds stacked against him. But we quickly see that his personality, so perfect for war but so unsuited to peacetime and high society, starts to work against him. All that he could be, all that he never becomes because of both his own failings and the predatory nature of his surroundings, is heartbreaking. In the beginning, we see that he's an honorable, good man with some very deep fault lines in his character. By the end, his life's work, his hard-won victory, has been reduced to rubble, and we ask: whose fault is this? And the thing that really gets me about Othello is that it could be his own. Like I said before, I think Iago is truly one of the most disturbing villains English literature has to offer. He's evil given flesh, to put it kindly. He winnows his way into people's minds using half-truths with alarming ease, and his web of deception upon deception is absolutely horrifying. One of Othello's strongest aspects is that it tackles a very, very difficult theme head-on by fully engaging with and picking apart the distinctions between one's image to the public, one's image to close friends and family, and one's true self. This appearance vs. reality divide is really shocking but very real and relevant. Iago's real talent is that he can manipulate this boundary and twist it to his own advantage by appealing to emotions like jealousy, the 'green-eyed monster'. And all the while, you're thinking "why? why would he go to these lengths to ruin these people's lives?" and I think literature scholars have been trying for the past four centuries or so to figure that out. It's a tough nut to crack. Desdemona is so intriguing, and I definitely pondered her situation a lot as I read. Desdemona is, in the eyes of the males that dominate the Venetian social landscape, the perfect woman. She is obedient to a fault to her father and husband (with the notable exception of her secret marriage, which I'll get into later), she is generous and well-spoken at all times, and she is both accomplished and beautiful. Heck, she's rich on top of it all. Throughout the play, Desdemona is objectified, even by her own husband, who refers to her once as 'monumental alabaster'. On the outside, she seems so polished and put-together, with no incendiary opinions of her own to voice, and she appeals to my personal curiosity because there must be so much going on underneath that whole socially-acceptable mask she puts on every day. Thus we get a subtle but extremely important view into how Desdemona lives with her own façade. The one moment she shows any clear, definite defiance (although this is certainly up for debate) is when she deliberately disobeys her father in order to marry Othello. I feel like this isn't talked about enough: Desdemona, the individual. Desdemona, the human, capable of passion and emotion just like anyone else. That's what draws me to her—that single lapse, that solitary but vital decision that eventually spirals into her own end. One thing that Shakespeare does rather awesomely (although maybe accidentally) is provide three female characters who are on completely different levels of adherence to the obligations and burdens their patriarchal society has set on them. As I explained above, Desdemona is, or at least seems to be, the perfectly obedient, idealized noble wife figure. Bianca, another supporting character, is a prostitute, and therefore ridiculed and scorned by all, even by the man who teases her with marriage proposals. Emilia is the middle ground, and this is why I love her, although she may seem like a minor character in the grand scheme of things. My favorite moment for Emilia—and one of my favorites in the entire play—is her speech on the relationships between women and men that she gives to Desdemona. It's such a progressive speech for the time and contains a lot of great feminist principles. We see that she has a fierce devotion to Desdemona and a lot of wry wisdom, and she resents the fact that society tries to contain her. so that's all from me—but wait! there's more #litlove! Alyssa talks Romeo and Juliet over at The Devil Orders Takeout. and Taylor muses about A Midsummer Night's Dream at Paper Daydreams. * AnQi and Topaz unfortunately won't be participating in this round. Oh wow, the comment box vanished there for a moment and I was terrified. ANYHOW. I realise we should probably have included some of Shakespeare's sonnets. OH WELL. I didn't even include an introduction of Shakespeare ... because ... who doesn't know Shakespeare. I mean, school made sure of that. Othello is SUCH a tragic character I want to hug him, and Iago is SUCH delicious evil I want him to teach me his ways. (Oops. Priorities.) I will admit I wasn't paying so much attention to Desdemonda and Emilia, except weeping and screaming and flailing at necessary points, but wow, you just made me want to read it for them again. Which is sort of the point of #LitLove, so. Great post, and as always an amazing experience collabing with you! 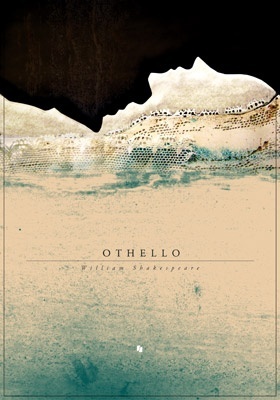 I adored Othello when I read it for the first time this year. Iago is my favorite character, but I think you did a really good job describing all that the characters embodied within the story. The tragic hero bit of Othello really drives the story, and so it makes for something fascinating. At the same time, I think you could argue that Desdemona perhaps is disobedient once more—just before she dies. I can't remember exactly (AND MY COPY IS AT SCHOOL DARNIT) but Othello is asking that she beg forgiveness from God, because even though he wants her dead he doesn't want her to go to hell. She does something like refuse forgiveness, which essentially means that she's sacrificing herself to go to hell. I may have to come back to this post because it was a really interesting interpretation. Anyway, this was awesome. And Othello is awesome. So I guess you couldn't go wrong! This is another Shakespeare play that I need to read but haven't yet--I love Shakespeare's plots and his use of language, but it's the characters that always rope me in, and you did such a fantastic job introducing them. Great post! Great to collab with you as well (and as always)! Iago's definitely fascinating, and I really like the nuances in his character. You can't go wrong with a great villain—and a hero as tragic as Othello. Oooh, I totally forgot about that scene! That's brilliant. Desdemona does definitely show more of what I like to think is her 'true side' in that scene, and I think I drew a lot of my thoughts from there as well. I'm glad this interpretation makes sense, because I feel like Desdemona is too often analyzed as an object without any agency when so much more can be drawn out of her. Ahh! You definitely should delve into Othello sometime. The characters are SO complex and so worth exploring. It's one of my favorite Shakespeare plays, I think (the other one being Hamlet, because I'm weird and I love the tragedies). Thanks for stopping by! Hi there, Zoe! Oooh, I haven't read Julius Caesar yet, but I so want to, if only for the "et tu, Brute?" moment. And I definitely haven't read much of Shakespeare's poetry, either—only a few of the sonnets. Do give Othello a shot; I hope you enjoy it as much as I did. Thanks for stopping by! Fiction Friday : "Stories About Gods"